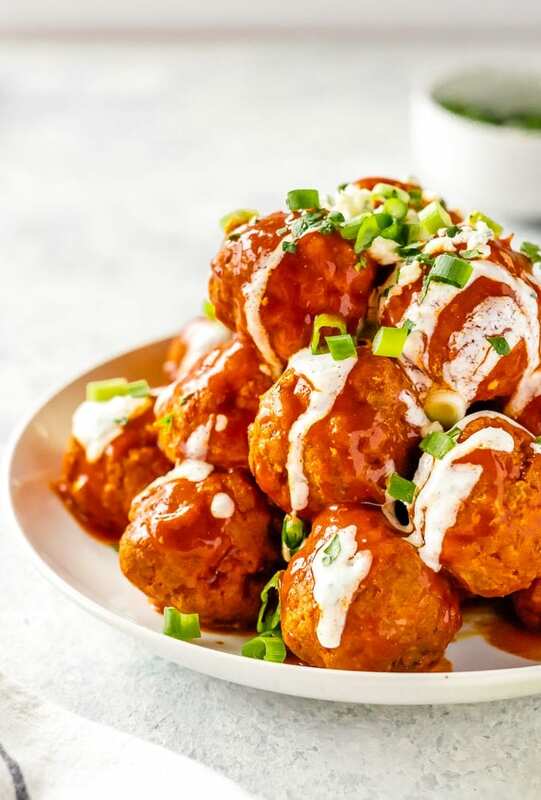 Buffalo Chicken Meatballs are one of our very favorite party appetizers. These Blue Cheese Stuffed Meatballs are relatively healthy, SO flavorful, and sure to please. 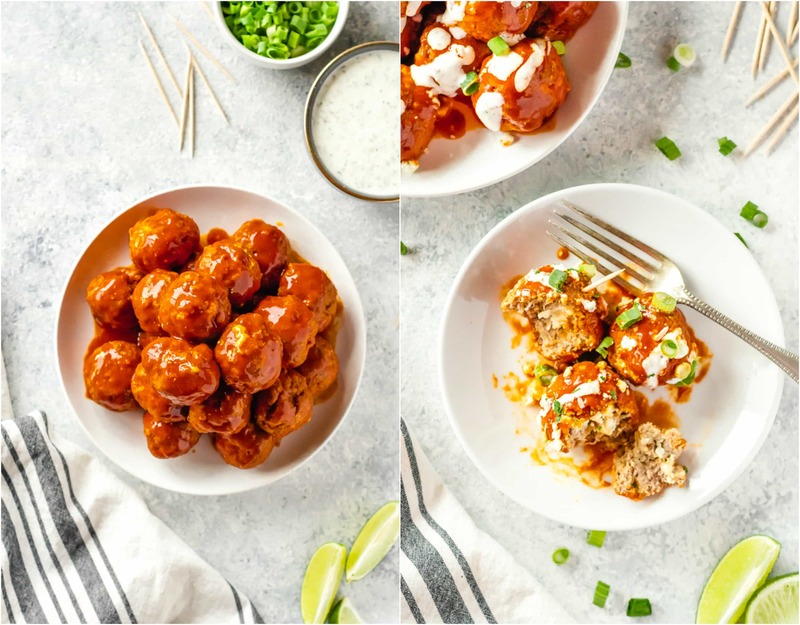 If you’re not sure what to serve for your next tailgating party, this Slow Cooker Buffalo Chicken Meatballs Recipe is just the thing. 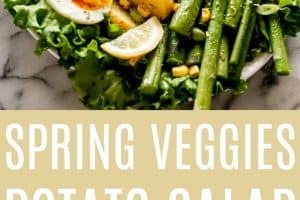 Serve with Homemade Ranch! 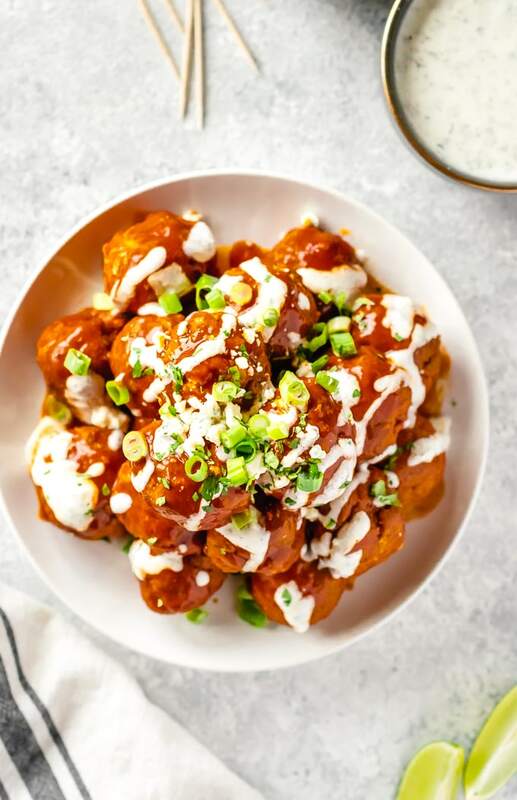 This Buffalo Chicken Meatballs Recipe is everything I want from a good game day appetizer. I’m OBSESSED with these Buffalo Chicken Meatballs. 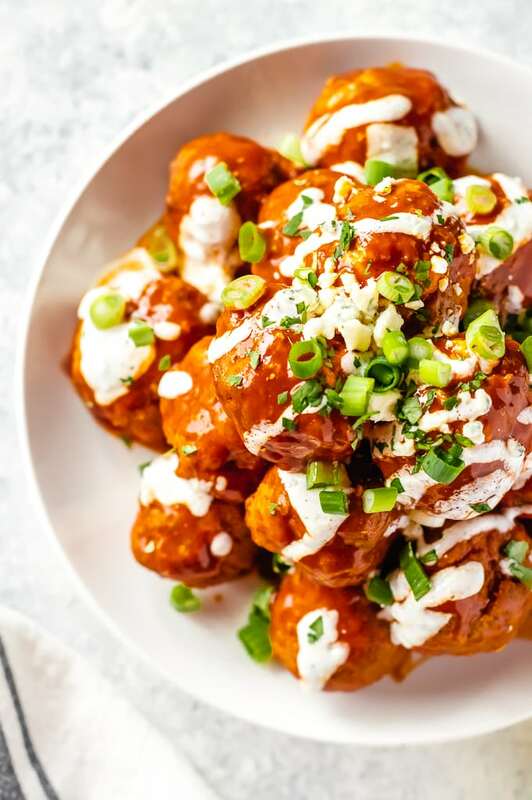 Actually, I don’t think “obsession” is even a strong enough word for how I feel about this Skinny BLUE CHEESE STUFFED Buffalo Chicken Meatballs Recipe. 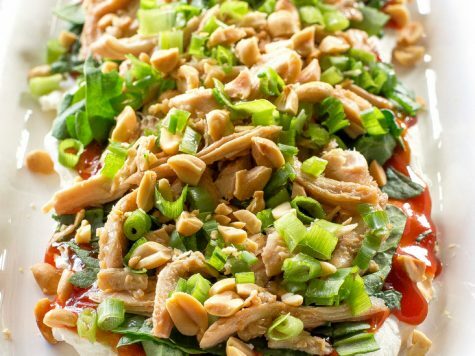 I mean…Its Buffalo Chicken, Stuffed with Blue Cheese, and put in a Crock Pot. Is this what heaven is like?? I need these Buffalo Chicken Meatballs in my life at each and every tailgate party I go to. If I’m forced to watch sports, you better believe I’ll be snacking on these Cheese Stuffed Chicken Meatballs! Be sure to watch the video for one of our other favorite meatball recipes, Chicken Cordon Bleu Meatballs! I LOVE Buffalo Chicken. I LOVE Cheese. Cheesy Buffalo Chicken Meatballs are my Heaven. These Buffalo Chicken Meatballs are browned in the oven but then kept warm in a slow cooker. 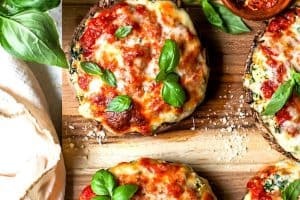 That makes them the perfect appetizer to take to any party or get together. I don’t think any starter is quite as great as meatballs for parties. 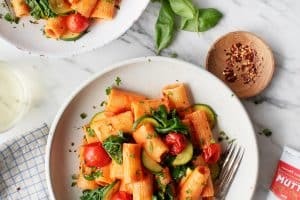 These meatballs are especially great because they’re made with chicken, aka HEALTHY, and have all the flavor you’ve come to expect from buffalo chicken recipes. We have lots of meatball recipes on the site, including Marmalade Meatballs, Swedish Meatballs, Mozzarella Stuffed Italian Meatballs, and Cranberry Cocktail Meatballs. These Buffalo Chicken Meatballs have been a favorite since they were first published in 2014! Can you freeze Buffalo Chicken Meatballs? You can! Meatballs are great for freezing and serving later. Meatballs can be frozen raw after shaped (aka get the hard part over with) or after they are cooked and cooled. When freezing, always Freeze them in a single layer on a lined cookie sheet for an hour or until solid. After solid, add to a quality freezer safe zip lock bag and label with the date. This Buffalo Chicken Meatball Recipe should last in the freezer for 3-4 months. Add moisture such as eggs. Eggs work as a binder but also add moisture to make sure your meatballs stay moist. Super yum! 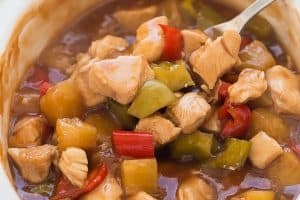 Use a chilled bowl. Keeping things cold helps keep them tender because you don’t allow the fat to break down. Science! Don’t overmix, be gentle. Another tip for keeping things tender. If the meat mixture is too tightly packed, it can lead to tough meatballs. 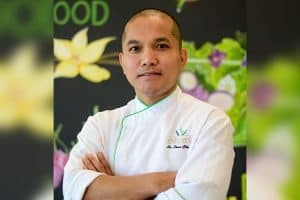 Spray your hands with non-stick spray. This will help with the inevitable mess. Use a small ice cream scoop to form your meatballs. 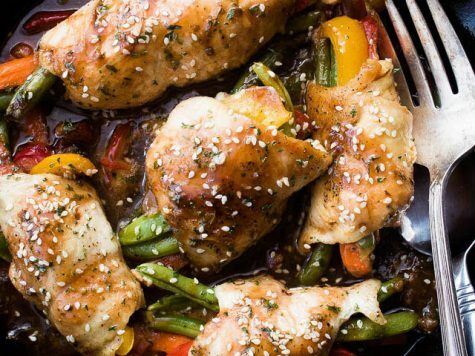 Once you’ve made your meatballs, wash your hands completely as raw chicken can carry salmonella. Bake, don’t fry! 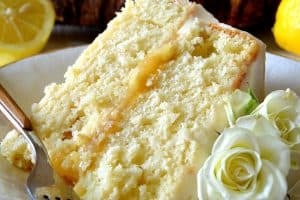 Baking is not only better for your waistline, its also less messy! You can get a crispy outer crust if you broil them a touch after baking. 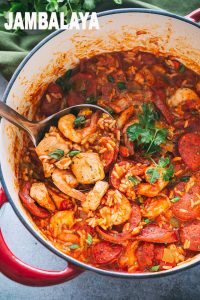 We love to keep ours warm in a crock pot to make serving at a party that much easier. I just love the way the creamy blue cheese interacts with the spicy baked on Buffalo sauce. They’re very spicy; you’ve been warned! (You could buy a mild buffalo/wing sauce if you’d like to cut the spice. Also, dipping in ranch makes them less spicy and tastes amazing!) My husband loves things spicy so these chicken meatballs are right up his alley! 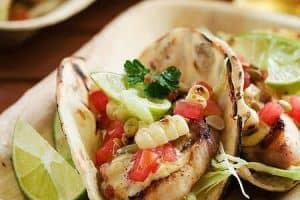 Baseball season is here and it’s time to tailgate! 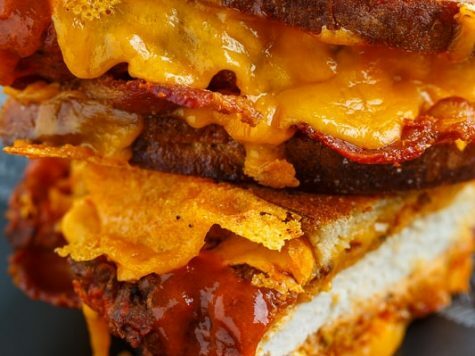 You need to find some amazing game day appetizers for the season. 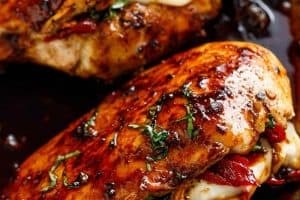 We have always loved the flavors of buffalo chicken, and some of our favorite recipes include Beer Cheese Buffalo Chicken Dip, Buffalo Chicken Dip Bites, Crock Pot Buffalo Chicken Sandwiches, Buffalo Chicken Pasta Salad, and Creamy Buffalo Chicken Enchiladas. 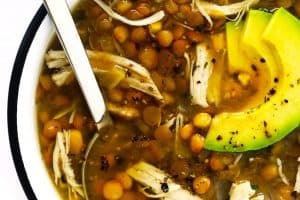 Another favorite HEALTHY spicy chicken recipe is our Buffalo Chicken Soup. If it’s game day appetizers you crave, we have you covered there as well! 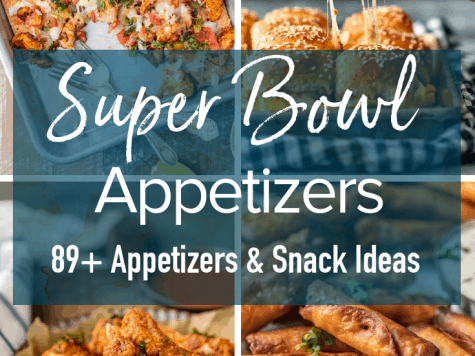 Our go-to appetizer recipes include our Famous Queso Recipe, Chicken Tacos, Chex Mix Recipe, Ham and Cheese Mozzarella Sticks, and Bacon Cheese Fries! 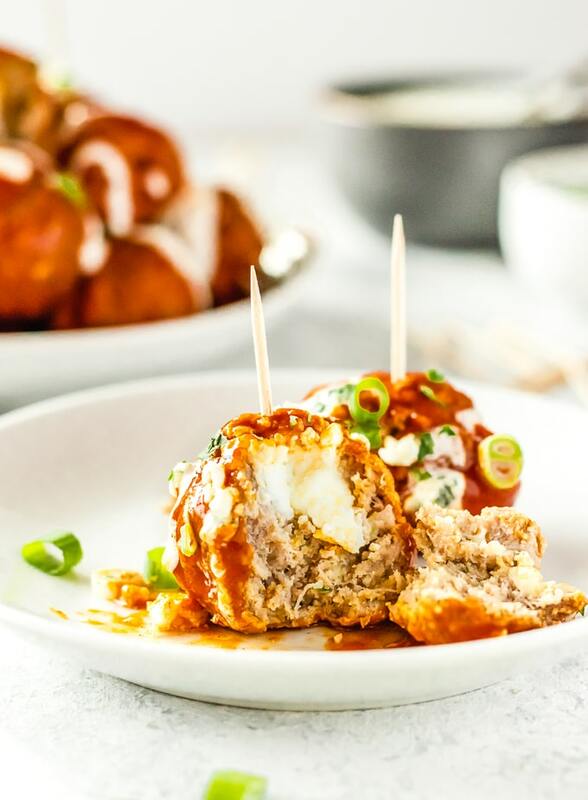 All of those tailgating appetizers are great, but people will realllly go crazy for are these Blue Cheese Stuffed Buffalo Chicken Meatballs. But you better make a double batch. Trust me. See the recipe card for details on How to Make Buffalo Chicken Meatballs. Enjoy! 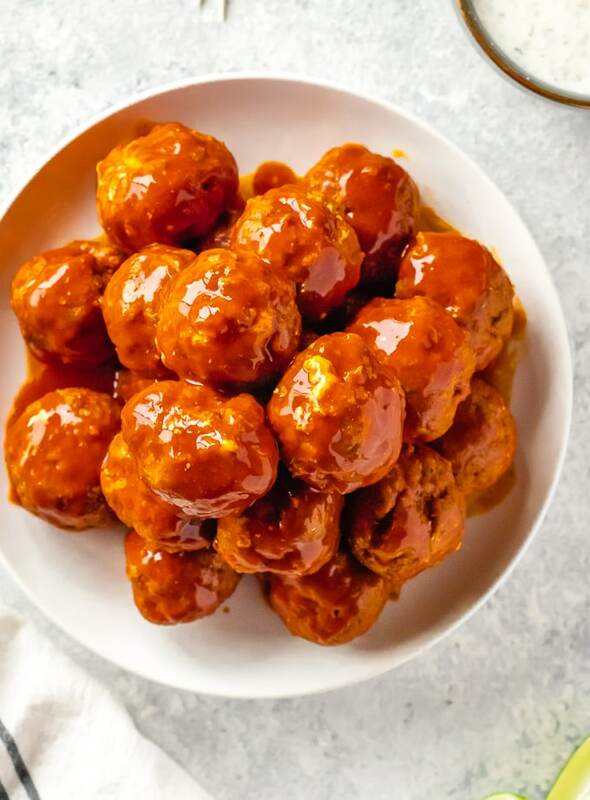 Buffalo Chicken Meatballs are one of our very favorite party appetizers. These Blue Cheese Stuffed Meatballs are relatively healthy, SO flavorful, and sure to please. 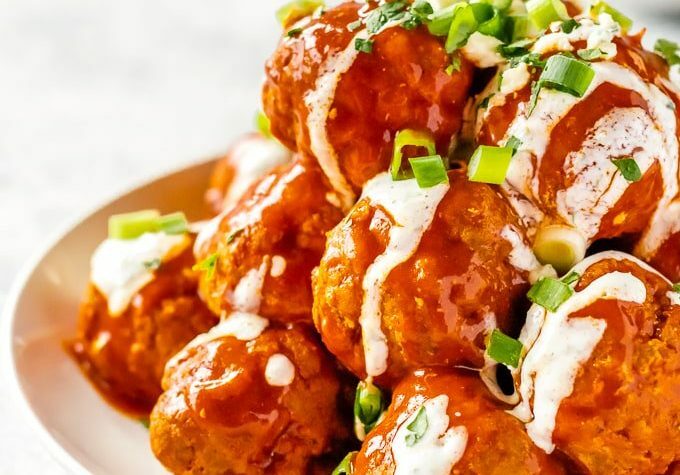 If you’re not sure what to serve for your next tailgating party, this Buffalo Chicken Meatballs Recipe is just the thing. 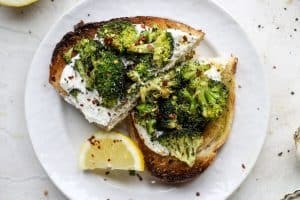 Serve with Homemade Ranch! With a fork, stir together chicken, garlic, ranch, egg, and bread crumbs until mixed. Using an ice cream scoop (or your hands), mold the mixture into meatballs. Press a cube of blue cheese into the center of each meatball then fold the mixture around the cheese and press together. 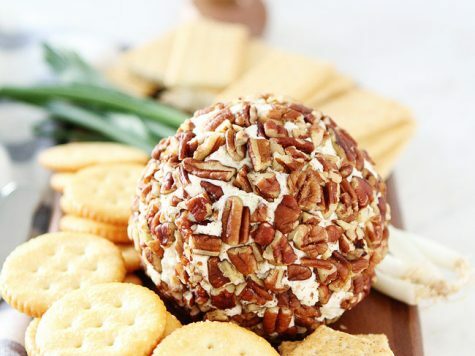 Roll into a ball so that the cheese is completely covered. Place meatballs on a non-stick cookie sheet and bake for 16-18 minutes or until golden and cooked through. Place the meatballs in a slow cooker with the butter and buffalo wing sauce. Place on high for about 20 minutes until hot. Keep on warm while serving. Makes about 16 meatballs. Enjoy! NOTE: If you’re not a blue cheese fan you can use any type of cheese. I recommend 1/4 or 1/2 inch blocks of your favorite for each meatball…I love cheddar or mozzarella!